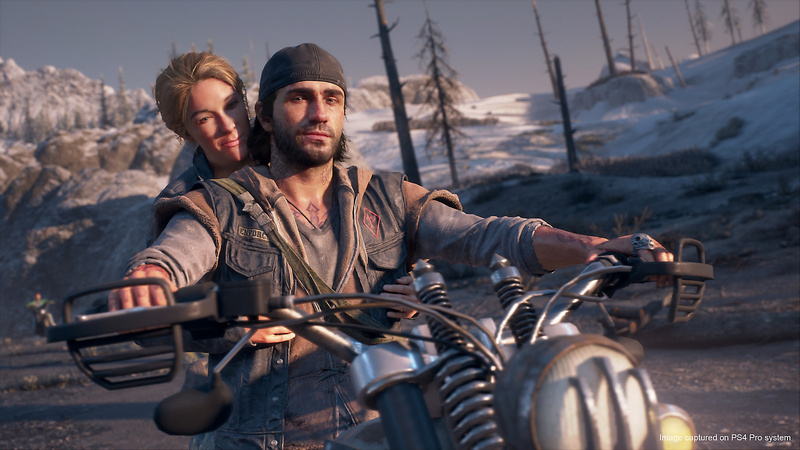 It’s been a long wait, but Sony Bend will finally make its PlayStation 4 debut with Days Gone later this month – and we can confirm that we’ve already spent a good 10 hours on the back of protagonist Deacon St John’s bike. While we can’t share any impressions from the final build just yet, you can read our thoughts from a recent preview event through here. But we’ll have a lot more on the anticipated exclusive starting 25th April, from 1PM BST. That’s when the global embargo for the release lifts. We’ve included various time zones below so you know when to start hitting F5 on Push Square’s homepage. When Does Days Gone's Review Embargo Lift? While the embargo lifting less than a day prior to the title’s launch may be sounding some alarms, it’s worth noting that critically acclaimed first-party games like Astro Bot Rescue Mission, Marvel’s Spider-Man, and even Bloodborne had similar embargoes – and they turned out alright, didn’t they? See you in a couple of weeks. Good. That may help to avoid unwanted spoilers. My first thought was, hang on wasn't GoW and Horizon lifted earlier? However Spiderman and Bloodborne are hard to argue with. Not concerned for reviews,im confident.Im concerned how big the install size is.Hoping for 50 gb max. Seems ideal. I quite like catching a few reviews and hearing people's thoughts on a game before it's released as long as it's not too far ahead of time. Not as confident as with other first party games. 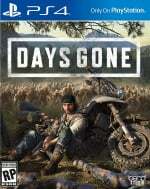 Sony might have finally realized Days Gone is going to be a B-Title and not A game. Still got it pre-ordered twice. Would rather they Allowed spoiler free reviews. Be nice to know how good this really is... I’ll wait for reviews. Already pre-ordered. Seen enough to know I will enjoy it, just a matter of where on the enjoyment scale it lands. Plus that steelbook version on Amazon was too good to pass up on. Simple fact is unless a company is expecting near universal praise then they usually have the embargo a couple of days before release. I wasn't waiting on the review myself as I pre-ordered this months ago. Even if the reviews are 'terrible' I am not going to bother cancelling my pre-order. Still expecting the overall scores to be an 8. Oh and some Dutch PS site called PSX said that the install size is around 65GB. And yes the site is legit. Pre-ordered and I feel very confident it’s going to be great. that's why I'm waiting for the reviews to come out, then i can decide if it's worth it or not, embargo or not I'm still patient to wait. dutch site psx-sense says the game is 67.16GB, though it's playable after about 22Gb has downloaded. it's not entirely clear whether that's the amount needed in total (including for the installation), as it says sony has provided review copies. i assume they're provided by download codes these days, rather than discs which work only on devkits. @JAMes-BroWWWn days gone is a B+ Title not B- because B- is a game that score in 70’s days gone look like it’s going score in the 80’s. Good stuff, but I dont think it has any relevance on how good the game will be. Sekiro had a review embargo and that turned out ok.
Getting an average score of ~80% and selling at least 5 million copies worldwide sure isn't a "B-title". If you wanna see a typical "B-title" look at games like Crackdown 3. My kind of game. The reviews are already irrelevant as far as I'm concerned. I've gotten myself into a bit of a frenzy with this. Which is highly unusual for me though it could be something to do with my lack of interest the past couple of weeks. I need a title to draw my interest into its world and I'm hoping that Days Gone is the milk in my tea. Actually really hoping some stores bundle it with a Pro! This really doesn't look that great tbh. The bike controls look very loose, shooting looks bland, all set in what looks like a Far Cry skin.